applying intelligence understanding structures developing a discipline. Issues explored include: understanding intelligence models; the strategic management challenges of intelligence; intelligence capacity building; and the ethical dimensions of intelligence practice. Using case studies collected from wide-ranging interviews with leaders, managers and intelligence practitioners from a range of practice areas in Australia, Canada, New Zealand, the UK and US, the book indentifies examples of good practice across countries and agencies that may be relevant to other settings. 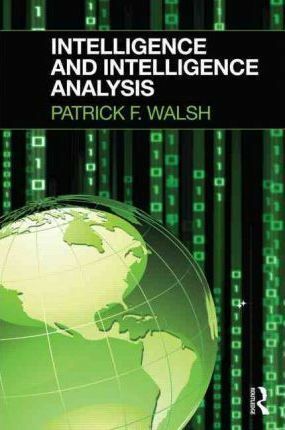 Uniquely bringing together significant theoretical and practical developments in a sample of traditional and emerging areas of intelligence, this book provides readers with a more holistic and inter-disciplinary perspective on the evolving intelligence field across several different practice contexts. Intelligence and Intelligence Analysis will be relevant to a broad audience including intelligence practitioners and managers working across all fields of intelligence (national security, policing, private industry and emerging areas) as well as students taking courses in policing and intelligence analysis.